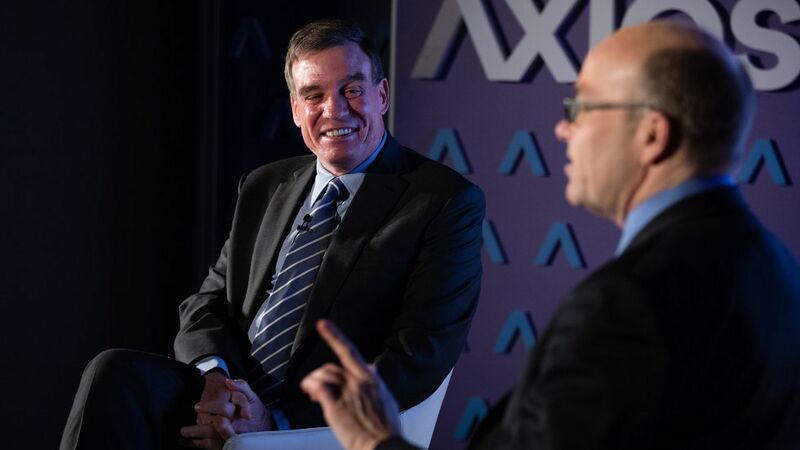 Senate Intelligence Committee Vice Chairman Mark Warner (D-Va.) indicated at an Axios event Thursday that he's not letting up in his campaign to push the nation's largest web companies to do more to combat foreign election interference. "I believe there's more work to be done," he said of Facebook. "They have moved dramatically and I think you're going to see more movement shortly." Why it matters: Warner's investigation into Russian election meddling online has been one of several events this year to spark a reckoning about the power of Silicon Valley companies. And it's just one storyline in a Russia investigation that's being rocked by attacks on Special Counsel Robert Mueller. Outside academics should analyze the Russian social media content. People should be worried about the "tone and tenor" of Trumpworld comments about Robert Mueller. Tech companies are starting to copy Russia's playbook for "corporate warfare."